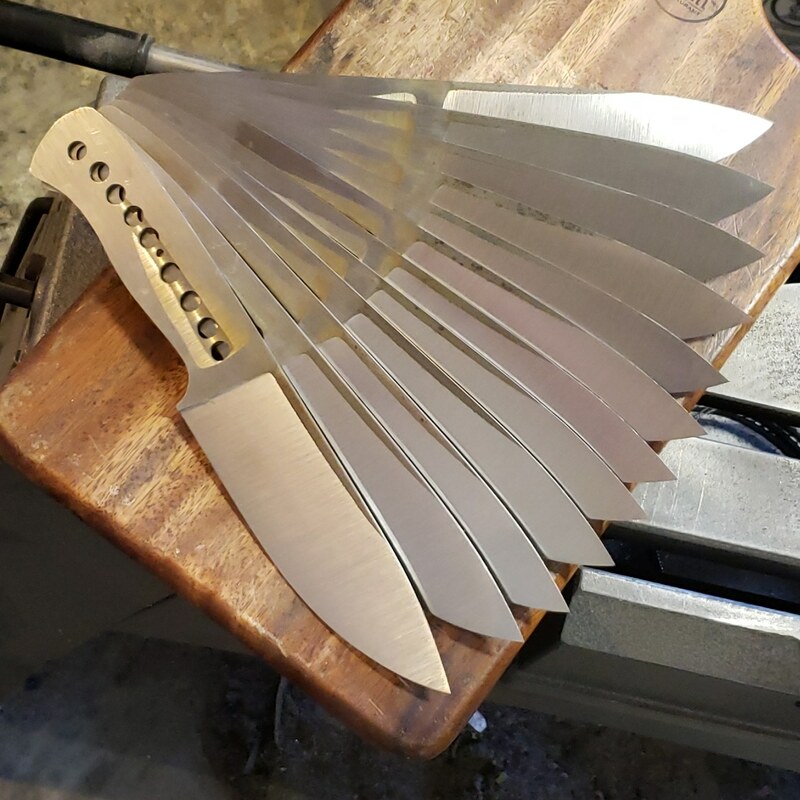 Discussion in 'Big Chris Custom Knives' started by Big Chris, Jan 28, 2019. Been working and moving forward with knives but not really staying on task with what I should be doing. Blade Show is already on my mind and I have been thinking a lot about what I want to make. I have plans for a couple pretty massive choppers, a large Dagger or two, and with time permitting a big Double Edge Fighter, just to name a few special projects. First off though, I had this piece of Super Thin 10V left over and was thinking about what I could do with it. I did my best to nest as many blades on the roughly 10 x 11 area. I think I did pretty good. 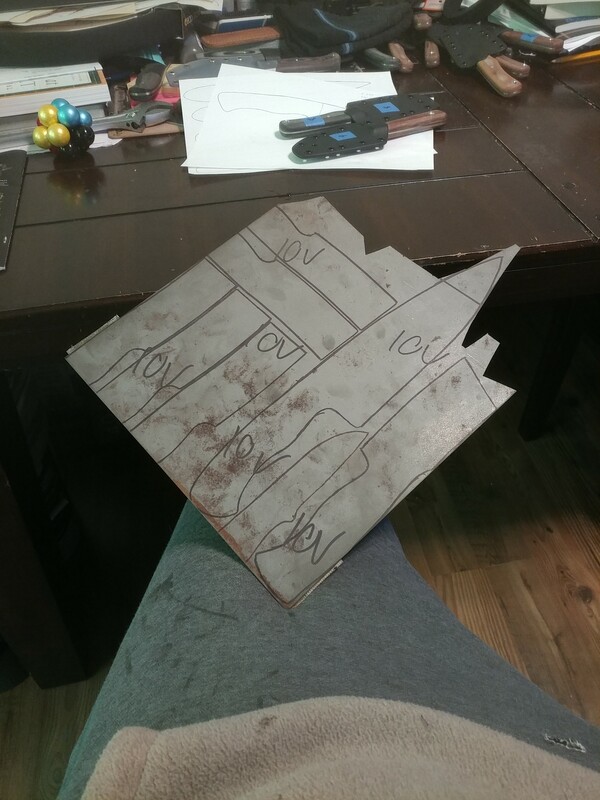 I had some other remnant and off cut pieces that were big enough for knives so I laid a few out and proceeded to cut and profile them out. A few of these are already spoken for and several others will be held for Blade Show. I will finish a few to be available beforehand. William Entenmann and Bmurray like this. Not much waste on that sheet for sure. 10V Voyager? Coolio, thanks for the update. Hope you and your family are well. I might do a couple light weight ones in some thinner 4V for Blade Show. I have to get some of these CPM 154 ones finished. One in Orange burlap I hope. 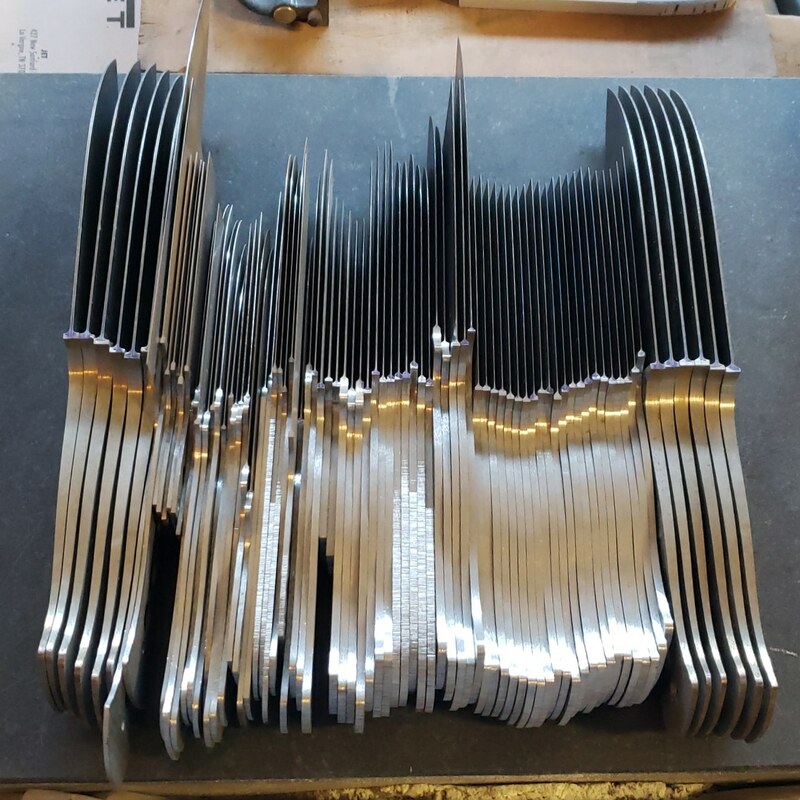 As an update, I sent 85 blades off to Peters last week. This includes the twelve CPM 154 Voyagers. This stack contains 10V, 4V, S30V, M4, and S90V. Some of them are already spoken for, and even more will make up what I will have at Blade Show. William Entenmann, cbach8tw, Wood5045 and 1 other person like this. BIG CHRIS LETS SEE SOME KNIFES YOUR WORKING ON FOR BLADE SHOW THANKS DON.